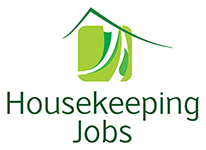 Job Description JOB TITLE: HOUSEKEEPING HOUSE ATTENDANT USUAL TIME OF WORK SHIFT: Varies with facility needs. Some full-time positions and some part-time positions. …that corridors are free of all debris, room service trays, etc. Ensuring that housekeeping storage rooms and housekeeping closets are secure, neat and clean.